Groove 55‘s third album, Voyage, is loaded with grooves, funk, great melodies and awesome rhythm tracks. Voyage features Smooth Jazz Chart-topping trumpeter Rick Braun and internationally renowned multi-instrumentalist Mino Cinelu on percussion (Miles Davis, Weather Report, Herbie Hancock, Sting). We think this album is a landmark on the smooth jazz scene. It is energetic with full sounding arrangements and captivating percussion grooves. No band other than Groove55 can swing the funk as well as this. Give this album a listen at CDBaby. The typical jazz lover doesn’t want to hear “relaxing” as a modifier for his favorite music. The word implies a certain snooze factor, and jazz isn’t about that. Still, there’s something soothing, tranquil and – yes – relaxing about the sound of the steel pans when played with skill. Leon Foster Thomas is such a person, drawing inevitable comparisons to Andy Narell. 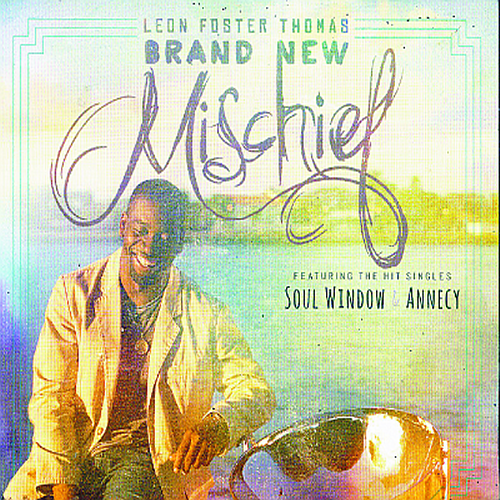 Thomas entertains with Brand New Mischief (Leon Foster Thomas Music, 2012), a set of seven original songs. With Thomas are pianist Allen C. Paul, acoustic bassist Kurt Kengstebeck and drummer Ludwig Alfonso. The title might be a hint at the origins of the steel pan. It was in Trinidad and Tobago where young men, who out of suspicion of mischief were forbidden to use drums to communicate, turned to other items. Among them were modified oil drums. NexLevel‘s music is intoxicating; this group of guys knows how to share their creativity as artists and their passion is made known through their music. This album shows their diversity with jazz along with portraying their creativity. “Midnight Blue” represents the late night hours & experiences they have encountered along with the laid back/mellow side that represents This album shows their diversity with jazz along with portraying their creativity. Midnight Blue represents the late night hours & experiences they have encountered along with the laid back/mellow side that represents their approach to various situations. While gifted and talented they believe in being “down to earth” and treating people how they would like to be treated. These gentlemen are professional, creative, laid back, and committed with sharing their God given talent with the listeners regardless of race, gender, creed, or religion because they believe in what they do. So sit back and enjoy these gentlemen as they take your listening experience to the, “NexLevel”. Midnight Blue is now at CDBaby. Walt Pitts is a musical chameleon. He may not change color to match his surroundings, but he has the impeccable ability to musically adapt to the environment of practically any live performance space. It’s this versatility that has kept Walt steadily booked at private clubs, resorts, weddings, and corporate events in the Phoenix and Scottsdale, Arizona, area for many years. Walt has a ready catalog of nearly 300 songs to choose from. Walt can play his instruments acoustically or amplified, as well as stationary on a stage or strolling table to table through the room. While he can comfortably play unaccompanied, he also has a solid collection of backing tracks he produced himself to create the sound of a full band. A Phoenix native, Walt spent a year in California in the 1980s to attend the Musicians Institute in Hollywood. There he studied with icons such as Joe Pass, Joe Diorio, Robben Ford, and Ron Eschete. After returning to Phoenix, he attended Arizona State University where he studied and taught jazz guitar under Chuck Marohnic. Keepin’ It Real in Lo-Fi is his offer at CDBaby. This new CD, is designed to inspire listeners. Each title of every song, original and cover, has a special meaning that lends itself to my recent life experiences. It particularly targets those who need inspiration in their “love life” or “life with loved ones”. From one who is happily married, single and looking, hurting from a past relationship, missing someone who’s crossed over or to those who may need to feel closer to God Himself. Of the total 14 songs- 7 originals & 7 covers, there is a song that nurtures each experience with an uplifting, happy vibe. Titles include; The title cut-Horn of Plenty, Share my life, Draw me close to you, When somebody loves you back, Fix Everything and Love on top to name a few. There is even an original song that’s a tribute to a popular street in my NC home town. Although we all may need something different and not everyone is inspired the same, this project is sure to fulfill the deepest desire for inspiration and motivation so thanks to you in advance for considering this project in your “special” section as many will be moved, blessed and inspired by it. Horn Of Plenty (Harvest Harmony) is now arrived at CDBaby. Women generally are under-appreciated in jazz. And many who are recognized are vocalists. 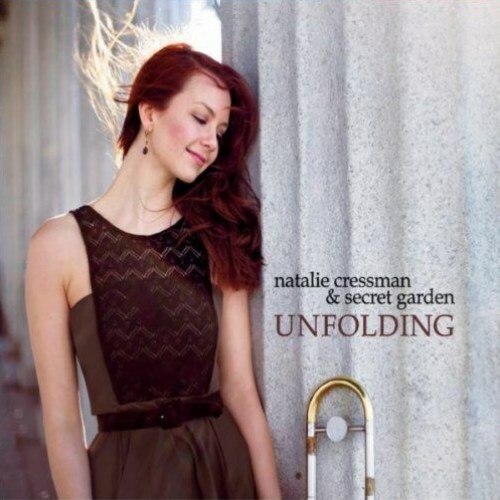 The group, Natalie Cressman and Secret Garden, is fronted by a young woman who not only sings but also composes and plays trombone. She exhibits all three skills on her recording debut, Unfolding (self-produced, 2012). “Flip” opens the set in dynamic fashion. Cressman and the other horns carry the melody, complemented by strong performances from the rhythm section. After the initial rush, the pace slows briefly, to set up Cressman’s throaty trombone interlude. It’s nearly all stop for LeBoeuf, who is accompanied only by Samama and Goldbas. Cressman joins in with a haunting, wordless vocal chant. The rest of the band gets back into gear, reverting to the melody. Forget the author of the music. Forget the message behind the music. It is the sound that judges the validity. God is the Master creator. So why are Christian’s so far behind in innovation and creativity? Why does Christian music sound the same? Revealed is setting the bar in sound and imagination. The author of Revealed is Jesus Christ. And the message is divine! T.L. humbly delivers this message. Revealed – Unspoken Revelations is now arrived at CDBaby.